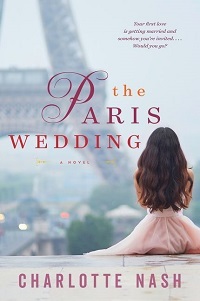 Charlotte Nash is the author of the new novel The Paris Wedding. Her other novels include The Horseman. She has trained as a doctor and worked as a research engineer and accident investigator. She lives in Brisbane, Australia. 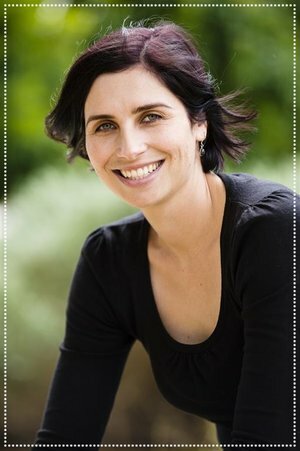 Q: How did you come up with the idea for The Paris Wedding, and for your main character, Rachael? A: I started with the idea that a woman goes to a wedding where the groom is the man she'd never gotten over. That situation is just brimming with tortured conflict. Pretty quickly I decided the wedding would be in Paris, which would amplify how far their lives have moved apart. From there, I began asking myself, well, how had that happened? Why weren't they together anymore? Why is he marrying someone else? I decided that my heroine could only have given up this man for a greater love: the love she had for her mother. From this emerged everything: the giving but naive Rachael, who stays home on a farm to care for her sick mother while her love, Matthew, moves away for university. Ten years later her life seems just the same while his has moved into very different circles. Then Rachael's mother dies, and Rachael's old life ends with her. Then the invitation arrives. I had to ask ... why was she invited? What is going to happen? Thus, the story begins. Q: The novel takes place on a farm in Australia, and in Paris. How important is setting to you in your writing, and why did you choose those particular settings for this novel? A: Setting is so important, because we're all irrevocably shaped by the places we live - the weather, the language, the work of a place moulds us. I chose a farm in Australia to begin because it isolated my heroine, both in geography and in her ambitions. She might be generous and big-hearted, but she isn't worldly. She doesn't know what's possible, and thinks her chances are long past. Paris was a natural choice both in symbolism (the city of love) to amplify her predicament at having Matthew's new life and love so very in her face, but it also represents the cosmopolitan world that Rachael has never seen before. For a woman who has essentially given up her youth for her mother, that's a hard choice. She wants what she knows and is safe, but is that the best choice? And it wouldn't be nearly so hard if you could have familiar comforts. A: I knew how the book would end - this is Rachael's journey, so it's all about her realisations, and I knew where I wanted her to end up. It may or may not be what a reader expects! I usually can't start writing a book unless I have some idea of where it ends up. The way the story was told did change a lot from the first draft to the finished book, but the key steps on the way didn't. A: I love Colleen Hoover, Liane Moriaty, Jilly Cooper, JoJo Moyes, Nahlini Singh and JR Ward, to name just a few. They all write big stories with a way of capturing their characters with such precision. A: So many things. I'm in the final proofing stage of my next book (Saving You). 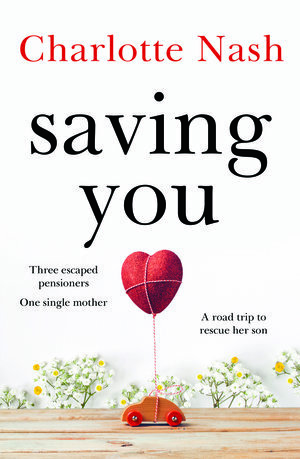 It's about a single mother going on a road trip across America with three escaped pensioners, all to save her five-year-old son. I'm really proud of it. It will be out in Australia early next year, and I hope in other places too. At the same time I'm researching what I hope is the book after that, which has the working title "Twenty-six Letters". It's a two-generational story of discovery that takes place, in part, in a small English village. I am also working on my PhD thesis, and writing lots of ideas on bits of paper I will probably never get to writing! A: Fun fact: Paris has a sewer museum where you can see giant iron and wood balls that are still sometimes used to clean out the sewer pipes! The museum is a working sewer, and ode to a past where boats tours of the Paris sewers were actually a thing. Isn't that cool, and definitely something you should know? No? Sadly, the sewer museum does not feature in The Paris Wedding. But lots of other real Parisian places do. Actually, in the novel, Rachael's friend Sammy is a movie buff, so if you feel like setting a Parisian mood, I can really recommend the film Midnight in Paris - it combines lots of real Parisian places, history, famous writers, and time travel. I never tire of it.